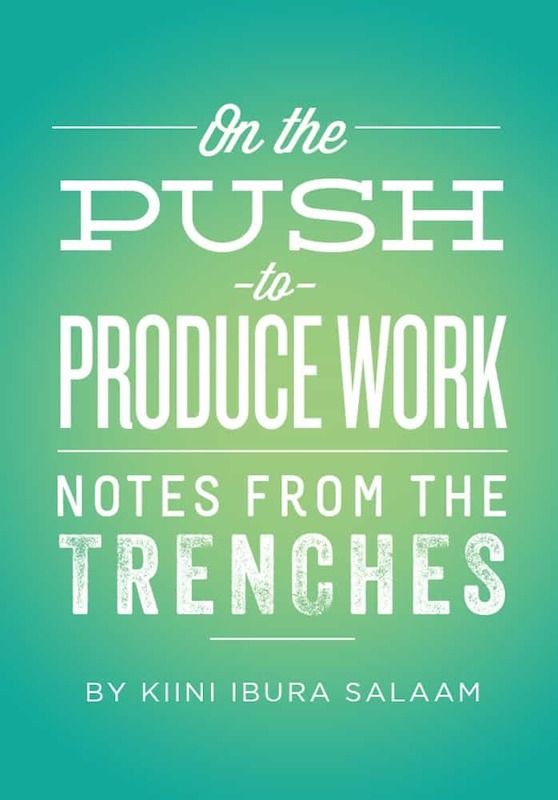 Salaam’s “Notes from the Trenches” series explores the nitty, gritty of what it takes to sustain a writing career, taking an inside look at everything from the psychology of being a writer to the logistics of sustaining a writing practice to the business of writing. In this volume–On the Push to Produce Work–Salaam dissects the barriers to producing work–whether they be internal (doubt, procrastination, self-criticism) or external (time, access to publishing opportunities). This vital information can trigger writers into action, and into maintaining the mindset needed to sustain ongoing creative output.